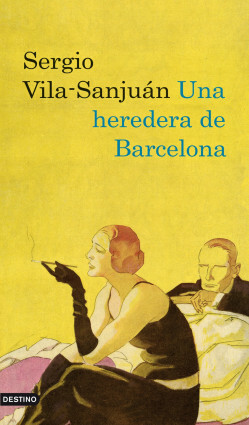 A historical detective story set against the social and political tumult of 1920s Barcelona, and based on the real events of the end of a dazzling era. In the decade before the Spanish Civil War, Barcelona was on the verge of boiling over. Pablo Vilar, a well-connected young lawyer and journalist, meets several mysterious people who seem to hold clues to what is brewing in the city. The diverse cast of characters includes an assaulted cabaret artist, an anarchist leader, the city’s new autocratic civil governor, and a beautiful, wealthy countess—their destinies all bound by invisible ties. While the city both touches its zenith and peers into the abyss, Vilar guides us through a labyrinth that leads from the caverns of Montjuïc, home to paupers and outlaws, to the high-society parties in the gardens of Horta. Based on documents from the author’s family archives, and called “an irresistible read” by Carlos Ruiz Zafón, author of The Shadow of the Wind, A Barcelona Heiress provides a fresh perspective on a complex and dramatic period.